Amy & Matthew by Cammie McGovern: Also known as Say What You Will in the US. I'm reading this for Mental Health Awareness Month. Very excited about this as it has amazing reviews! 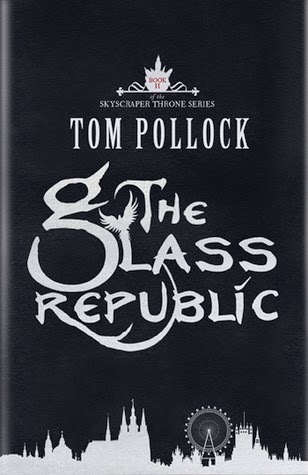 The Glass Republic by Tom Pollock: VERY EXCITED ABOUT THIS ONE. It's all about Pen! The first one did not have nearly enough Pen in it. Pen is my faaaave. 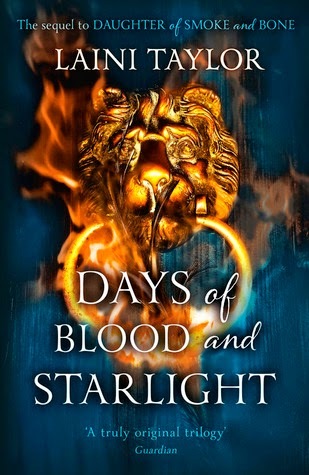 Days of Blood and Starlight by Laini Taylor: I hope this is just as good as the first one! I hear there's a lot more pain involved. Thanks for stopping by! (: Yeah, I'm really excited about Amy & Matthew. It seems like it'll be a really moving and unusual love story. I hope you enjoy it if you decide to check it out! The first book was amazing! I can only hope the rest of the series lives up to my expectations. I hope you do enjoy it when you get round to reading it. Haven't heard about the Cammie McGovern book, but sounds like something I would enjoy as well, like books on mental health. Yeah, I'm really interested in books about mental health too. My boyfriend has issues with anxiety and I find it helpful to read about characters who suffer from similar problems. I haven't heard of those books but I do hope you enjoy them. Thanks for stopping by and commenting on my Blogger Love post this morning! Finally found time to come visit you back and have now followed you via Bloglovin'. Amy & Matthew is one I picked up from work a little while ago but haven't got to yet, I think it looks so good. I'm hoping to read it and take part in Mental Health Awareness month too. Yeah, I hope Amy & Matthew is good! My very frustrating boyfriend picked up the book this morning and flipped to the last page and read me a spoilery sentence and I'm kind of angry at him. Alas, I can never be angry at him for long. He's supposed to do a joint review of the book with me for Mental Health Awareness Month, but he's always so busy, I hope he doesn't back out! Looking forward to your review of The Glass Republic! Daughter of Smoke and Bone is a book I've had sitting on my audio shelf for a while now and just haven't gotten to! Seeing another 5 star review is making me think I need to push it onto the calendar!